Welcome to the world's first and finest museum devoted to Bonsai. Recently voted “Best Place to Take an Out-of-Towner,” and one of the “Best Museums Off the Mall,” by Washington City Paper readers, the National Bonsai & Penjing Museum is the first and finest of its kind in the world. It is free and open to the public and is a great way to tour DC off the beaten-path. It’s one of the best spots to relax and meditate in DC. The Museum is located on the grounds of the U.S. National Arboretum in Northeast Washington, DC. Supported in large part by the National Bonsai Foundation, this bonsai museum in DC harbors superior bonsai and related arts for the education and delight of visitors. → Learn more about our collections and special exhibits at the Museum. Assemble and nurture a superior bonsai collection with special emphasis on specimens from Japan, China and North America. Provide education about bonsai and support the scholarly study of this art. Acquire and maintain a collection of viewing stones. Acquire and maintain a collection of stands, scrolls and containers which enhance the exhibit of bonsai. Develop and support a Special Collection at the National Agricultural Library devoted to literature and other materials related to bonsai and the associated arts. 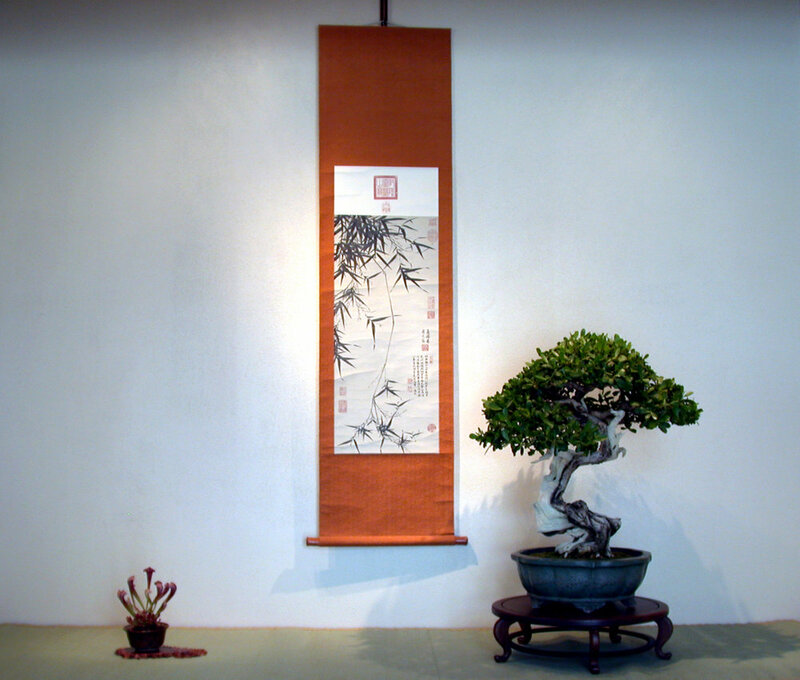 Maintain the Museum setting to complement the display of bonsai. If you’d like to help us accomplish these goals, we’d love to hear from you. 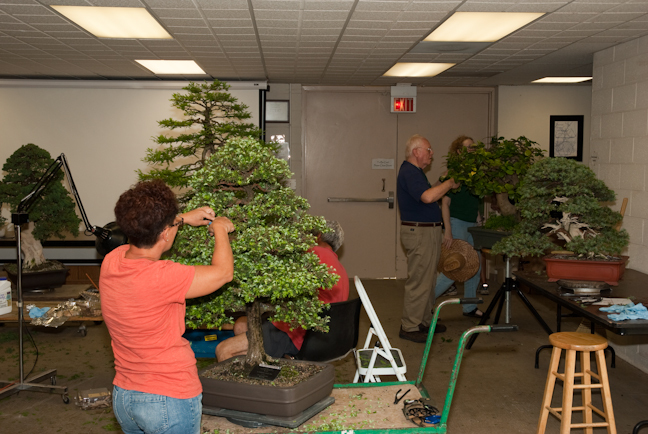 You can contact us here or become a member of the National Bonsai Foundation. Constructed around the beautiful Maria Vanzant Upper Courtyard, the Rose Family Garden and the Melba Tucker Arbor, the Museum is made up of three pavilions and two activity centers. A visitor can best experience the Museum in DC by entering along the Cryptomeiria walk to the Mary E. Mrose Exhibit Gallery. This pavilion gives the visitor information and is a display area for educational exhibits and collection shows. To follow the path of historical development of the art of penjing and bonsai, the next stop is the Yee-sun Wu Chinese Pavilion that houses the penjing collection. Moving across the courtyard to the Kato Family Stroll Garden the visitor is introduced to the oldest of the structures, the Japanese Pavilion, renovated in 2017 (learn more about that initiative here). From there, walking through the George Yamaguchi Garden, the visitor reaches the John Y. Naka North American Pavilion and the Kanehshiro Tropical Conservatory. Finally, the Yuji Yoshimura Center provides demonstration space and workroom and office facilities for staff and volunteers. All of these spaces are dedicated to people who have played great roles in the creation of this Museum. Each one has loved bonsai and penjing and wanted to share this love of trees with others. Their gifts to the National Bonsai Foundation and the Arboretum have provided a setting where visitors can encounter these exquisite trees that evoke a different time and place. Explore the bonsai and related art collections here, the special exhibits and events here, and more about our pavilions and gardens here. Copy of Japanese prepare for shipment of bonsai gift (1976). Not surprisingly, the story of the National Bonsai & Penjing Museum begins with plants. Plants are the heart of an arboretum. The American Bicentennial Celebration of Independence in 1976 ignited an international shower of gifts on the citizens of the United States. During this celebration, the people of Japan gave something unique to their culture and a living tribute to peace between the two countries. The Nippon Bonsai Association of Japan formally presented fifty-three bonsai trees to the U. S. National Arboretum in July of 1976. This was the auspicious beginning of the National Bonsai & Penjing Museum. 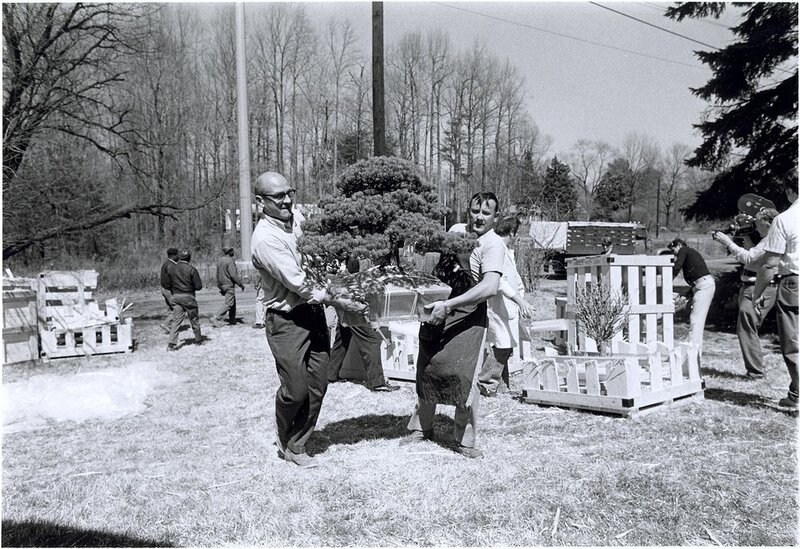 But the story of small trees at the U. S. National Arboretum actually began in 1972 with a gift of penjing trees from China to President Richard M. Nixon. So there was good reason to acquire more Chinese penjing, the antecedent art form of bonsai, for the Museum. Therefore in the 1980s, when a large collection of penjing from Dr. Yee sun-Wu of Hong Kong was offered to the Museum, it was gratefully accepted. Now, possessing both Chinese and Japanese collections, the Museum could give visitors a sense of the two main threads in the ancient historical continuum of artistic potted trees. While bonsai and penjing frame the Museum’s name and are the foundation of its growth, it is the collection of North American plants from regional artists that brings an indigenous focus to the enterprise. Each tree is a gift from a collector within North America and each work of art shows how these practitioners are bringing a new dimension to an old form. As the good reputation of the Museum has spread, other donors offered new specimens to the bonsai and penjing tree collections. With three separate collections representing three different cultures and geographical locations, the National Bonsai & Penjing Museum, located in the capital of the United States is a gift to be shared with all people. There have been many milestones over the Museums history. You can browse through a full timeline by clicking the button below. While the most important part of an arboretum is the plants — an arboretum is not complete without people. And it is the individuals who can envision new possibilities for the connections between humans and plants that bring about important developments in this educational process. The Museum has benefited from having three such individuals as Directors of the U.S. National Arboretum during the past quarter of a century. Dr. John Creech had the original idea of having bonsai trees on display in an American setting. In 1973 he began working with Japan and the Nippon Bonsai Association to bring bonsai to the United States. At the same time he persuaded officials in the federal government not only to accept this gracious gift, but to build a facility to display these unusual trees. Without John Creech there would not be a National Bonsai & Penjing Museum. The next Director, Dr. H. Marc Cathey, acquired the penjing collection, adding the breadth of both major strains in the history of artistic potted plants. Dr. Cathey was also instrumental in establishing links to the American bonsai community for the purpose of developing the North American Collection. Most recently, Dr. Thomas Elias continued to see new possibilities for the Museum, adding educational facilities and new educational programs. The Museum library was developed into a scholarly resource without rival in the United States. Without the leadership of the next Director, Dr. H. Marc Cathey, the Museum would not have acquired the penjing collection and therefore would lack the breadth of having both major strains in the history of artistic potted plants represented in the Museum. Dr. Cathey was also instrumental in establishing links to the American bonsai community for the purpose of developing the North American Collection. Most recently, Dr. Thomas Elias continued to see new possibilities for the Museum. Educational facilities were constructed and new educational programs were provided; the Museum library was developed into a scholarly resource without rival in the United States; and the arts related to bonsai and penjing were improved and accentuated. Under the leadership of two National Bonsai Foundation presidents, Frederic Ballard and Felix Laughlin, and with the help of many, but in particular Marybel Balendonck and Mary Ann Orlando, it has raised millions of dollars to benefit the Museum and its collections. Extraordinary benefactors and advisors include David Garvin, Barbara Hall Marshall, William H. Merritt, Mary E. Mrose, Deborah Rose and Howard Vanzant. To be Curator of the National Bonsai & Penjing Museum is to hold in your care priceless works of living art kept alive for decades, sometimes centuries, and it is your responsibility to carry this work to the future with many watchful followers observing. It is the good fortune of the Museum to have had outstanding Curators who could shoulder this burden and move the Museum forward to acclaim. The first curator, Robert “Bonsai Bob” Drechsler provided a steady hand and meticulous care that the collection required in its early days. For 23 years, (1975-1998), Bob, and his assistant Dan Chiplis, had the great responsibility of maintaining the bonsai and penjing collections at the highest level. Warren Hill (1998-2001) Followed Drechsler, and had a wonderful gift for styling and display.. His successor, Jack Sustic J(2001-2005), brought the collection to its present level of distinction and renown. 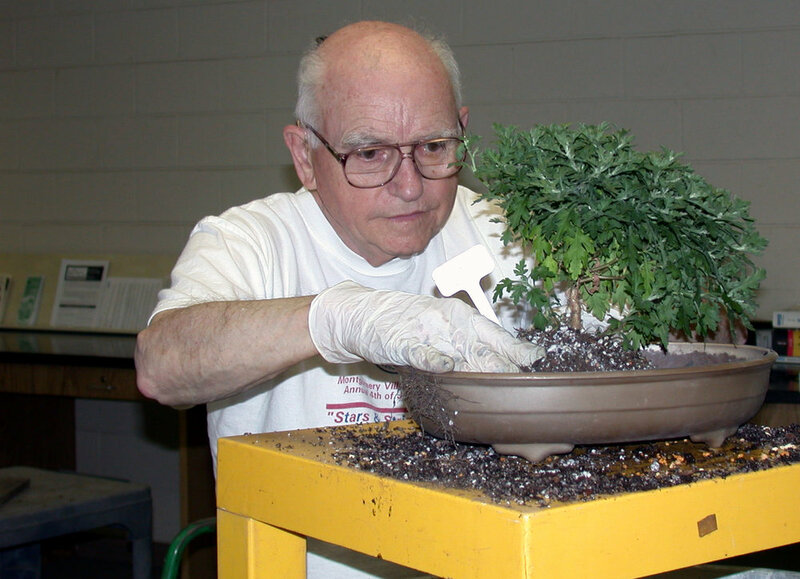 Jim Hughes (2005-2008) had extensive bonsai knowledge, gained from working with all three previous Curators, along with his own artistic talents. Sustic then returned as Curator in 2011 and continued using his outstanding talent to make the Museum’s collections the best in the world. He retired in October of 2016 and in June 2018, Michael James was appointed to carry on this great curatorial tradition. Saburo Kato at the dedication of the Kato Family Stroll Garden. 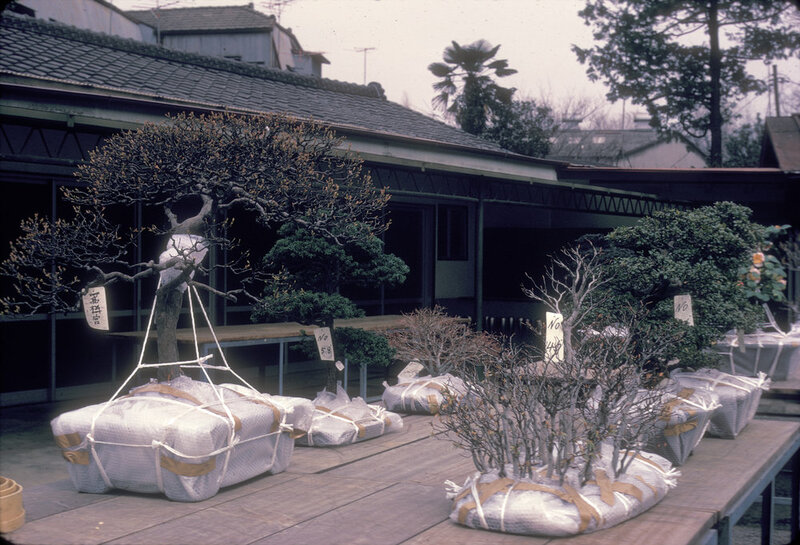 One of the most important figures in the early history of the Museum was Saburo Kato (1915-2008), founding director of Nippon Bonsai Association and Chairman from 1980 until his death. As Dr. Creech wrote in his book, “Mr. 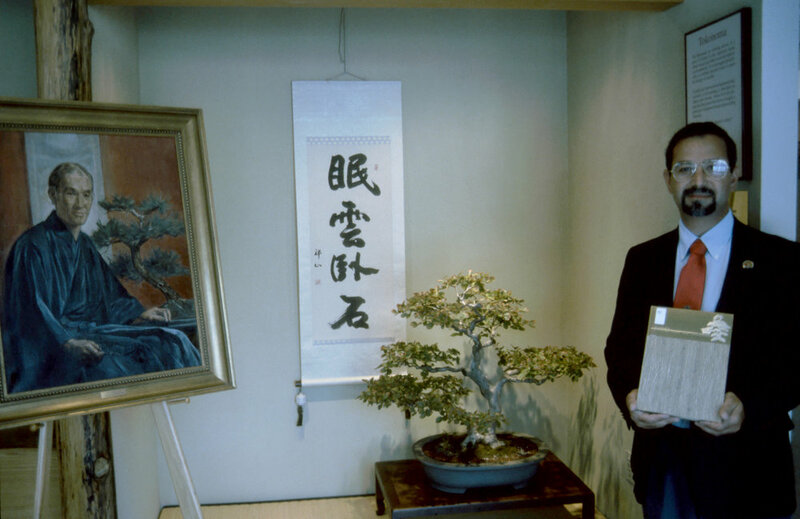 Kato was the most respected bonsai master in Japan.” Not only was Mr. Kato instrumental in orchestrating the 1976 Bicentennial gift but he also made a number of trips to the Museum to give talks and demonstrations ensuring that the bonsai were being cared for properly. Mr. Kato believed deeply in the spiritual power of bonsai, and often spoke of how the art could help bring peace to the world. He founded the World Bonsai Friendship Federation which made the Museum the showcase of its 5th World Bonsai Convention in Washington D.C. in 2005. In 2002 the Stroll Garden leading into the Japanese Pavilion at the Museum was renamed “The Kato Family Stroll Garden” in honor of his enormous contributions to the Museum and the art of bonsai. The Museum has been fortunate to have had two eminent teachers to guide and shape its destiny. Both were Japanese-Americans and renowned authors and bonsai artists. Yuji Yoshimura (1921-1997) was a scholar and artist who taught bonsai publicly in a time when it was an art nurtured in private gardens. He attracted many followers on the East Coast, and among these students were people who were instrumental in shaping the future of the Museum, especially the late Marion Gyllenswan. John Naka (1915-2004), on the other hand, lived in California and traveled the globe carrying the message of bonsai as an instrument of peace. But his home-away-from-home was the Museum, and he bestowed on it ‘Goshin’, a forest planting symbolizing his descendants. Both of these men are the spiritual guardians of the Museum and their presence here is tangible. Finally it is the visitor who shapes the mission of the Museum. Without visitors the Museum is without meaning. Therefore, every detail, every exhibit, every display, every educational opportunity is conceived and developed with an eye towards receiving the visitor. It is then that bonsai and penjing work their magic as the viewer quietly, even meditatively, contemplates the art. 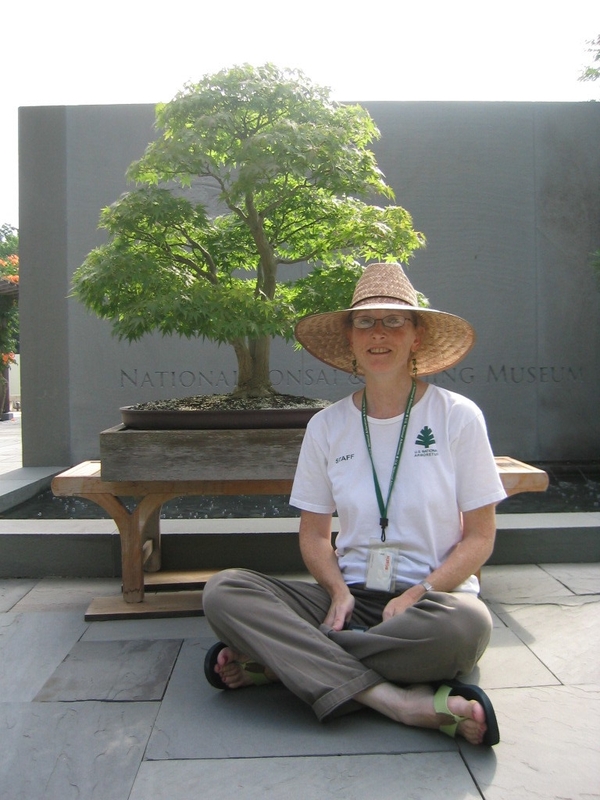 The National Bonsai & Penjing Museum would not have become one of the top nature nonprofits in America without the many volunteers who have worked in its bonsai and penjing collections over the years. While the Curator and the staff have day-to-day responsibilities for the Museum, it is the volunteers who provide all the little details that each tree in the collection needs in order to be healthy and beautiful. 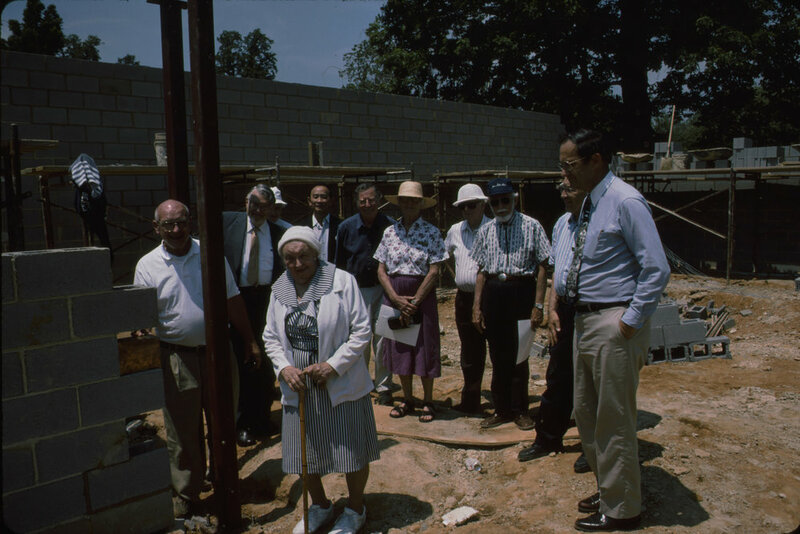 Many of these volunteers are members of the Potomac Bonsai Association, which has played a primary role in the development of the Museum. Of these many volunteers, Janet Lanman is of particular distinction. Lanman worked at the Museum for over 40 years, starting in 1945, until her passing in 2018. She was a model for all Museum volunteers and thankfully there are many who follow in her path. Michael James grew up on his family’s woodland homestead in the hills above Clear Spring, Maryland. His childhood duties included tending to an acre of blueberry bushes and keeping the firewood pile chopped and stacked. He left home to study fine arts at Maryland Institute College of Art and received a degree in Plant Sciences from Cornell University’s College of Agriculture and Life Sciences. In 2001 he traveled to Vietnam to collect tropical bonsai which he imported through APHIS. After returning home he helped to expand his family’s one acre of blueberries into a profitable farm business which became Certified Organic under the U. S. Department of Agriculture. In 2011 the farm was given special recognition by the White House when Michael and his wife Kristina were invited to share the blueberry harvest with Members of Congress at the Annual Congressional Picnic on the South Lawn. Michael has taught advanced placement biology and agricultural sciences in Maryland’s Washington County Public Schools. He first arrived at the National Bonsai & Penjing Museum as an intern in 2002 and then returned to the Museum in 2014 as the Assistant Curator. He served in that position until October 2016 when he was designated as Acting Curator. In May of 2018 he received a permanent appointment as Curator of the Museum. Kathleen Emerson-Dell (“Ked”) studied Art History at the University of Maryland and completed graduate studies at the University of Michigan in Japanese Art History and Asian Art History. She received a Freer Fellowship to study Japanese Ceramics at the Freer Gallery of Art in Washington D.C. and a Japan Foundation Fellowship for advanced Japanese language studies in Tokyo Japan. As the Japanese specialist at the Walters Art Museum in Baltimore, she catalogued the Japanese collections and authored publications on Japanese decorative arts of the Meiji-period. She was appointed Assistant Curator in February 2006. Erin Holden is the Gardener for the National Bonsai & Penjing Museum. She has a B.S. in Biology from Radford University and worked as a veterinarian technician in North Carolina before moving to Maryland. In 2011 she graduated from the Maryland University of Integrative Health with an M.S. in Herbal Medicine. After graduating she served as the National Herb Garden intern for a year and a half before moving into the Bonsai Museum in 2015, where she enjoys maintaining the Japanese style gardens. The Museum offers a collection of other objects that are intended to be displayed with the trees. This collection began in 1976 with six viewing stones that were sent with the initial gift of trees. The collection of objects that accompany the display of plants has grown immensely. In addition to the stunning viewing stones, there are also handsome pots, beautiful scrolls and lovely companion plants. Each of these objects can be used in combination with the trees in the formal Tokonoma* or they may be shown in separate exhibits that explain their relationship to the trees. These different collections give depth to the aesthetic composition of the Museum and also give visitors more reasons to return again and again. Residing at the National Agricultural Library (NAL) in Beltsville, Maryland is a special collection of that renowned institution. Many rare books and periodicals dedicated to bonsai and the related arts have been purchased or donated to the collection and is a treasure trove for researchers and scholars. You can search the NAL online catalogue here. *Tokonoma (pictured above) is an alcove in a Japanese house where bonsai, flowers, pictures and ornaments are displayed.